Exact Sciences is a molecular diagnostics company focused on colorectal cancer. They are currently in the final stages of the human clinical trials of their colorectal cancer screening test that detects both cancer and pre-cancer cells. The Cologuard colorectal cancer screening test met or exceeded all primary and secondary endpoints of its recently completed DeeP-C pivotal clinical trial. 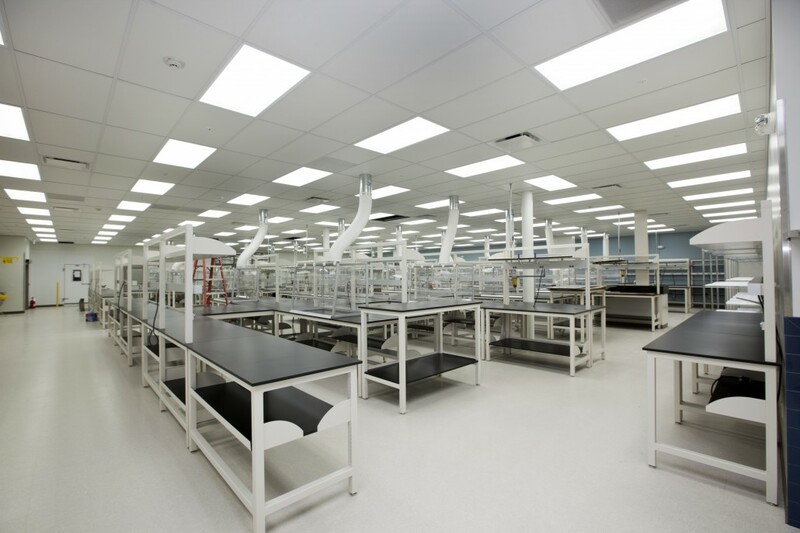 In anticipation of receiving their USDA approvals in 2014, we designed the first phase of their clinical processing lab to accommodate the predicted ramp up in production. The project included 24,000 sf of lab and production space, and 5,000 sf for administrative offices. Lab spaces include pre-processing, capture areas, and other support areas. After receiving their FDA approval we commenced design on phase two of their clinical processing center which will give them an additional 23,000 of space to meet their explosive growth. This second phase will increase their previous capacity of 1,000,000 samples to 2,000,000 samples.